One of my favorite facets of cooler weather is the luxury of lounging at home, nestling into a comfortable spot in front of the fire wearing cozy, soft clothes and a sweet, comforting fragrance. Lea St. Barth Extreme satisfies this desire perfectly. With colder weather and the holidays upon us, I thought it deserved some recognition. A richer and more intense version of Lea, Lea Extreme is simply the original formulation of Lea. By comparison, the reformulated Lea resembles an eau de toilette while Lea Extreme resembles a parfum. Ironically, they are both eau de toilettes of identical notes. Yet Lea Extreme interprets those notes in a more exaggerated fashion. They are? Vanilla, almond and musk. Lea Extreme begins with a heavy dose of sweet almond and vanilla. I feel as if I am making almond cookies as I inhale this rich fragrance. As I add the extracts and flour, the sweet smell of dough wafts from my mixing bowl. When this fragrance dries and softens, I detect a faint amount of espresso or chocolate, both of which make me and my nose very happy. Finally, the fragrance lands on a soft musk base with incredible lasting power on my skin - nearly a full day. This fragrance's lack of complexity and unembellished coziness has rendered it very popular. To wear Lea Extreme with an elaborately planned ensemble seems very wrong. However, when donning slippers, wrapping a fleece blanket around the shoulders and looking forward to a few hours of relaxation, Lea St. Barth Extreme is the perfect companion. 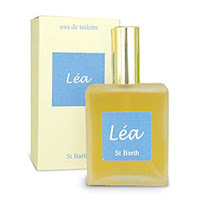 Lea St. Barth Extreme is available at luckyscent.com. A 100mL bottle retails for $95. There is a limited number of bottles available. Images courtesy of gartexmasonrysupply.com and luckyscent.com. Well, I am totally lemming this one! 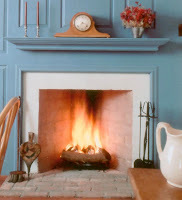 With the weather turning colder here (well, as cold as we get) something simple and cozy is very welcome.. It's a wet foggy coolish day in Sydney and I'm wearing a sample of Lea St Bath Extreme for the very first time. Not being a summer perfume I thought I'd better try while the weather suits. Glorious almond cookies straight out of the oven, the best comfort smelling perfume I have tried, and I'm falling in love with it, I hope it lasts all day. It's sooo gooood! I am thrilled to hear that you're liking this one! A wet, foggy and coolish day compliments this fragrance perfectly, wouldn't you agree? I wore Lea Extreme yesterday and I could still smell it at the end of the day after applying early in the morning. Enjoy!